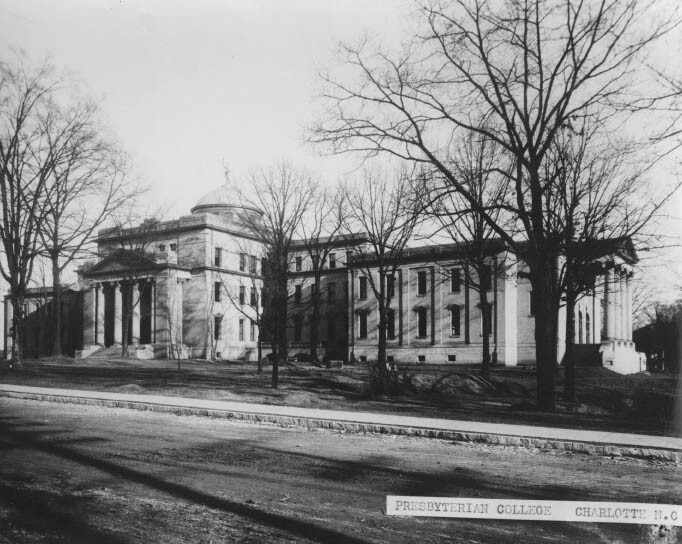 Presbyterian College was the precursor to Queens College. This building was located on the corner of College and Ninth Streets. When the school changed its name to Queens, the school moved to the Myers Park area.